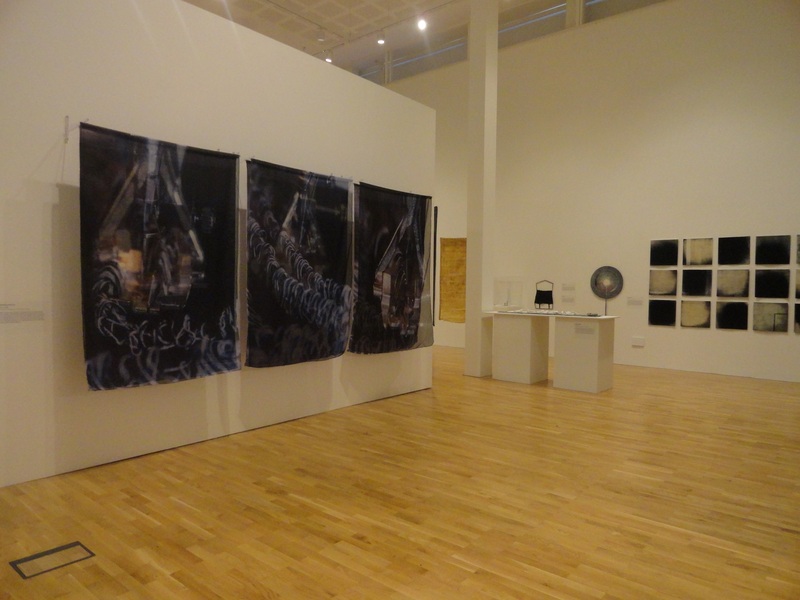 A touring exhibition from the 62 Group in partnership with MAC Birmingham. Ctrl/Shift now continues its tour to The National Centre for Craft & Design (NCCD) in Sleaford, Lincolnshire. 2 February – 22 Apr 2019. 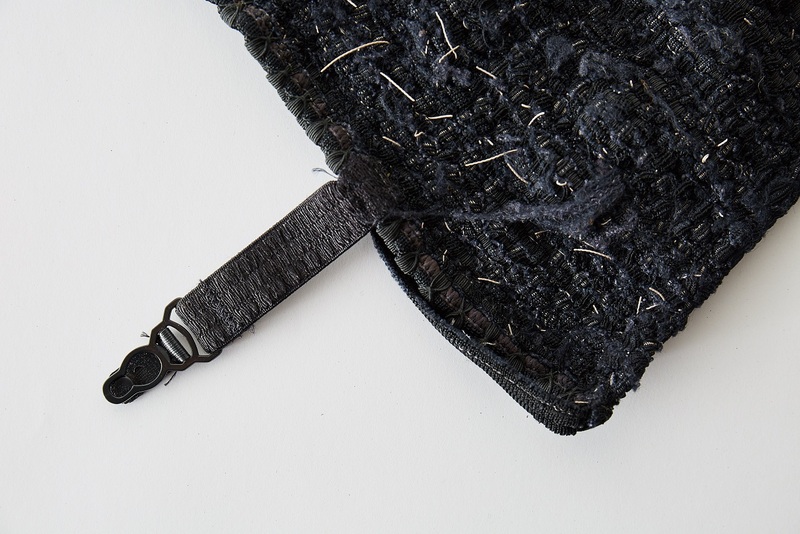 Ctrl/Shift takes shifts and changes as its theme, in particular it is centred on artists whose practice is or has transformed, in small or large ways, especially towards expressions of innovation in textile art. 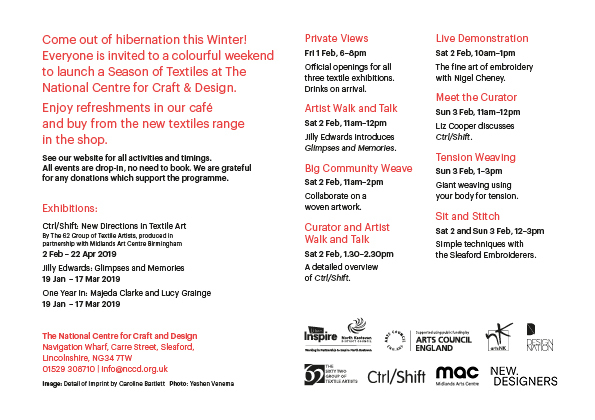 The Private View for Ctrl/Shift on 1st Feb 2019 6 – 8pm is part of NCCD’s ‘Celebration of Textiles’ Fri 1 Feb – Sun 3 Feb. All welcome and all events are drop-in, no need to book. My works ‘Total Support’ and ‘Lippy, Excess, Unruly’ will be on display there. Hope you can get along. Ctrl/Shift; New Directions in Textile Art Touring 2019 onwards ! Exciting news as Ctrl/Shift; New Directions in Textile Art Exhibition is to tour! 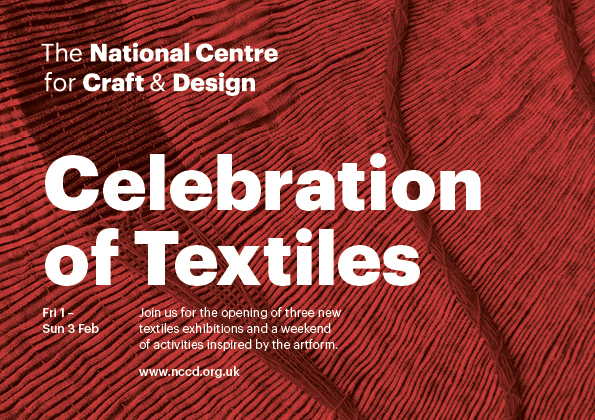 The next confirmed venue is The National Centre for Craft & Design NCCD in Sleaford, Lincolnshire. 1st February – 21 April 2019. Further venues to be announced. Lucy Browns’ Artworks ‘Total Support; Lippy; Excess; Unruly’ are part of the Exhibition. 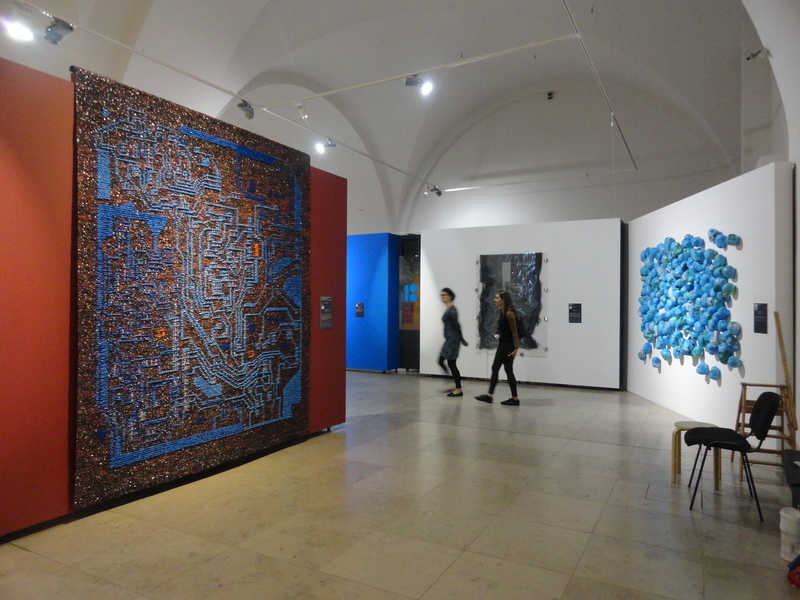 The Exhibition takes shifts and changes as its theme, in particular it is centred on artists whose practice is or has transformed, in small or large ways, especially towards expressions of innovation in textile art. These shifts may be around changing attitudes to control; the introduction of new materials and techniques; and/or the impact of innovative ideas and evolving technologies. Ctrl/Shift; New Directions in Textile Art is A 62 Group Exhibition in partnership with independent curator Liz Cooper and mac Birmingham. 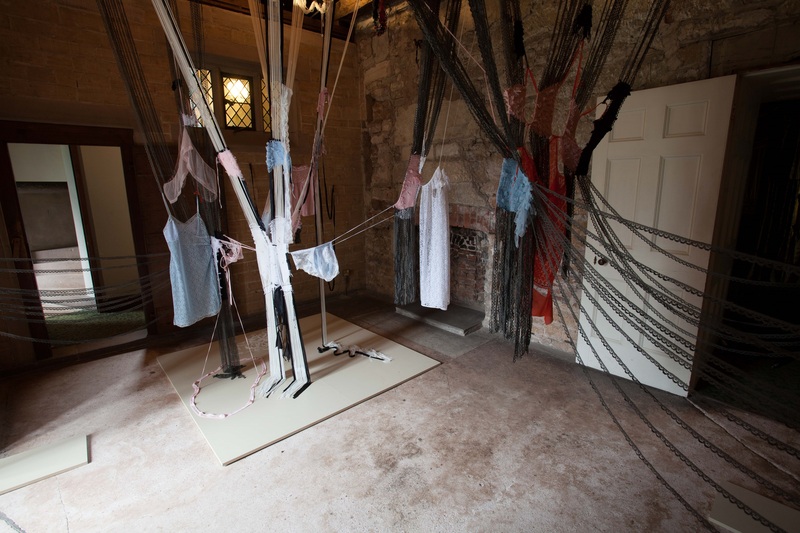 Earlier this year my work ‘the secrets we keep from ourselves…’was installed in Lord Byron’s Dressing Room at his ancestral home, Newstead Abbey, Nottinghamshire. The work was part of the ‘Lace Unveiled’ exhibition 10 March – 22 April 2018. 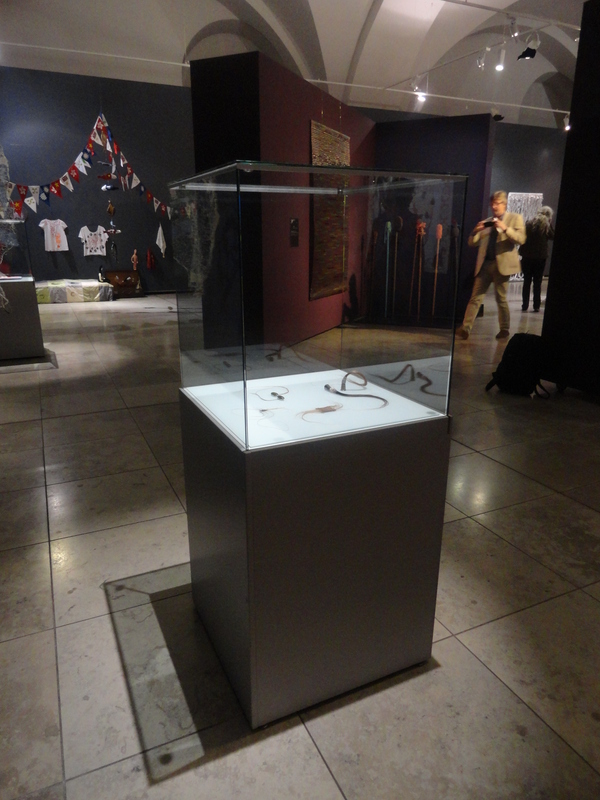 This is the first time ‘the secrets we keep from ourselves….’ was installed solely by The Nottingham Museums Team since the work was acquisition into Nottingham’s Textile Art Collection in 2016. 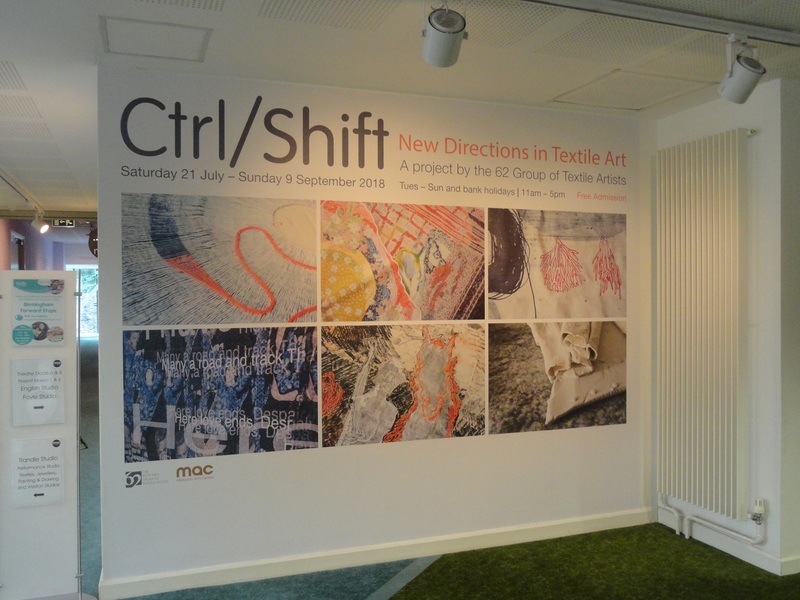 And my next Exhibition is…..
Ctrl/Shift takes shifts and changes as its theme, in particular it is centred on artists whose practice is or has transformed, in small or large ways, especially towards expressions of innovation in textile art. These shifts may be around changing attitudes to control; the introduction of new materials and techniques; and/or the impact of innovative ideas and evolving technologies. A couple of flirts to tempt you…. 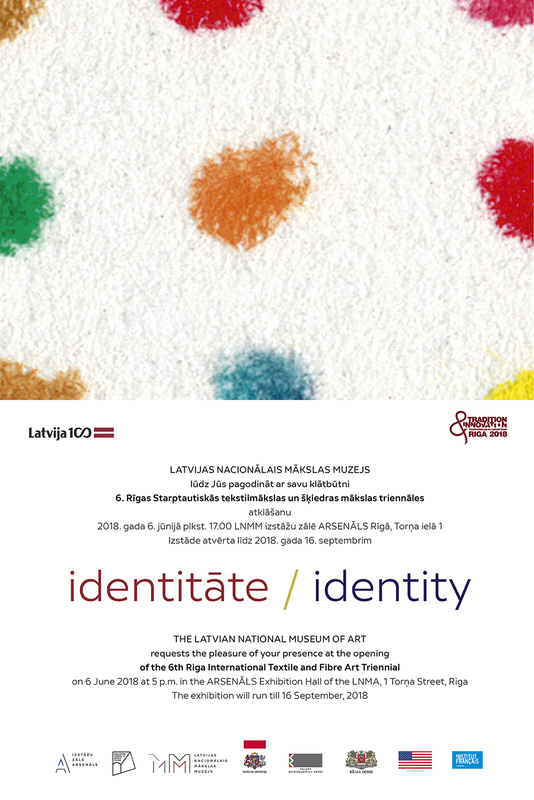 The 6th Riga International Textile and Fibre Art Triennial: Identity’ 6th June to 16th September, 2018. 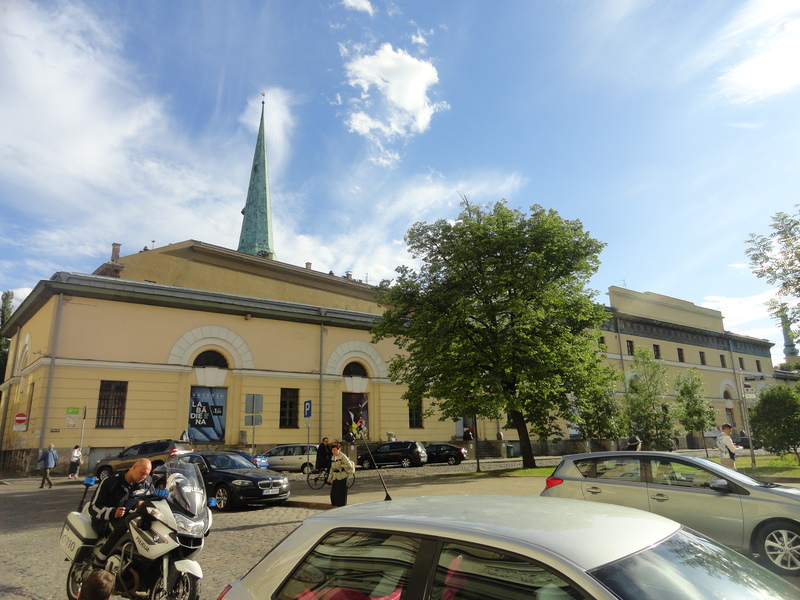 Arsenāls Exhibition Hall, Riga. Latvia. 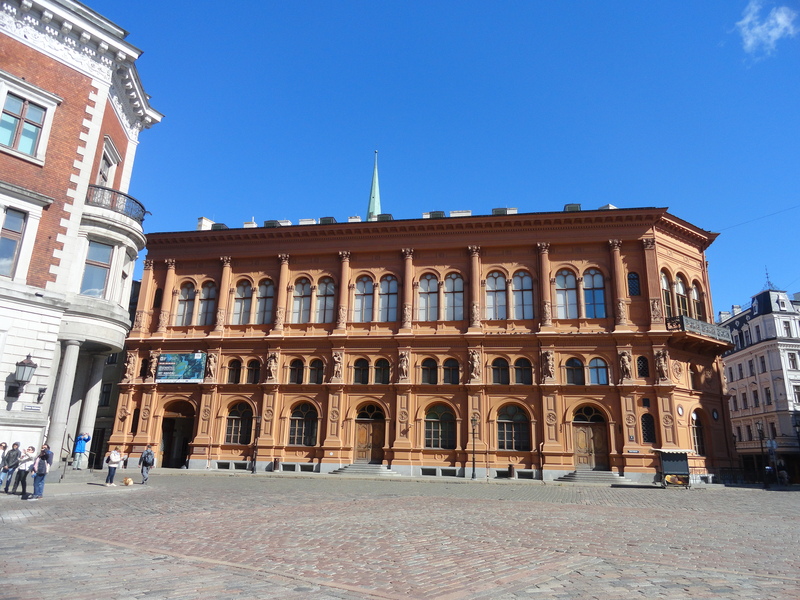 I had such a wonderful time in Riga last week. The press conference and opening of The 6th Riga International Textile and Fibre Art Triennial at the ARSENĀLS Exhibition Hall, Torņa Street were lively and well attended. 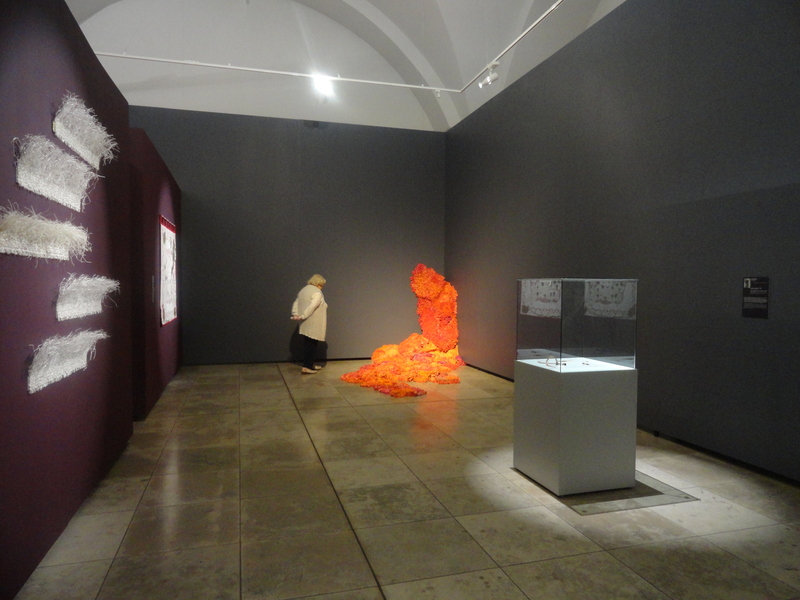 The exhibition itself spans across three vast arched spaces, presenting a diverse body of Contemporary Art Textile work, interweaving thinking around the exhibitions’ selected theme of Identity. Each art work had been well placed and given space to breathe… The exhibition is supported by its publication giving a generous double page spread to each of the 85 selected artists. 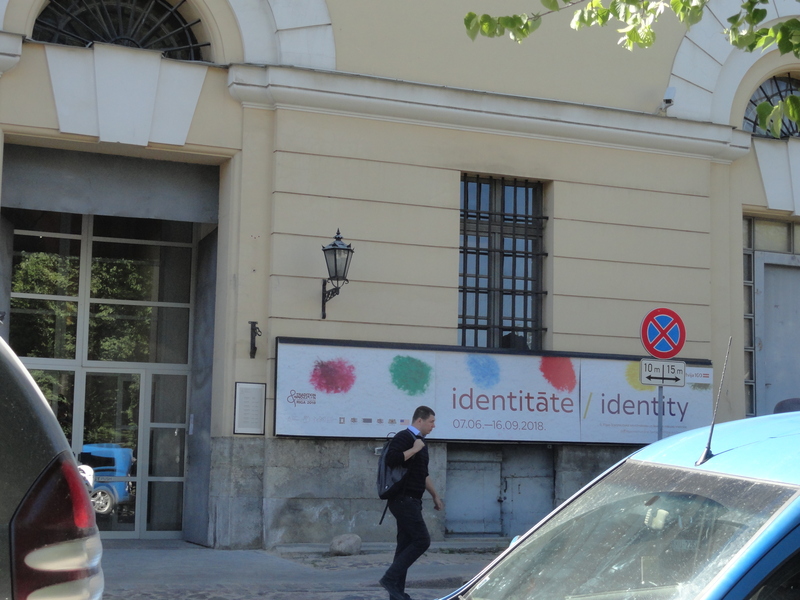 The following two day International conference IDENTITĀTE / IDENTITY, took place on the 7-8 June in the beautiful terracotta Art Museum “Riga Bourse” in Dom Square. I am very proud and honoured of being part of both the 6th Riga International Textile and Fiber Art Triennial and its two day conference. I met so many incredible fellow Textile Artists from around the world !!! 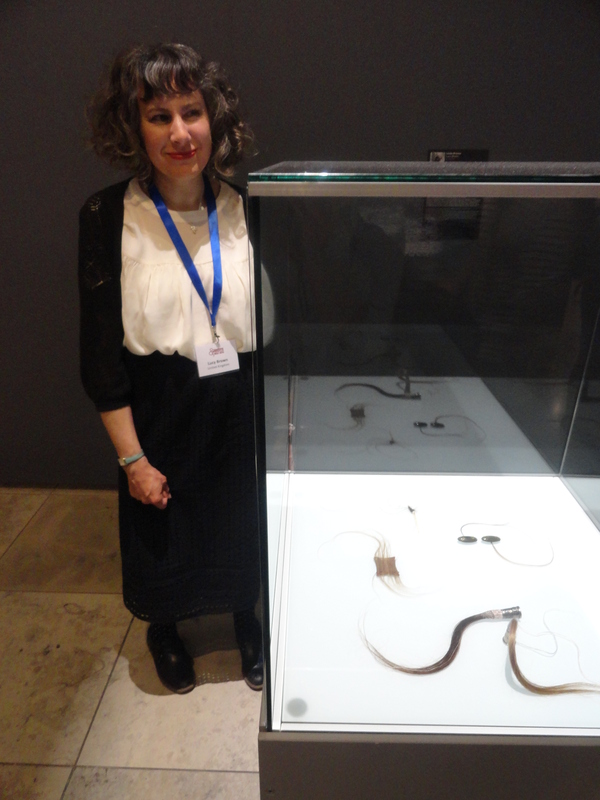 My thanks to; Velta Raudzepa, MA, Project Manager of the Triennial and Head of collections, Latvian National Museum of Art/ Museum of Decorative Arts and Design, the Organizing Committee of the Triennial and the Museums’ teams who all worked so hard to bring this important and monumental exhibition and programme together. 10. 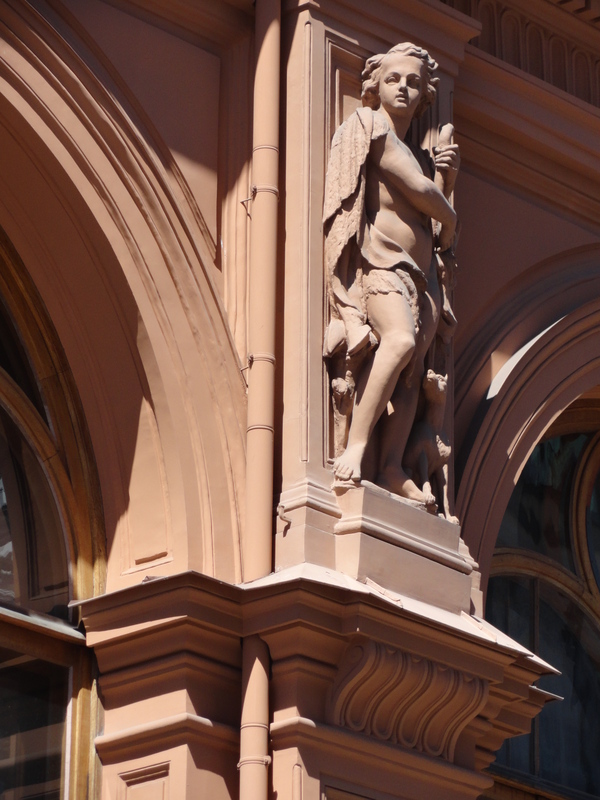 Detail of façade Art Museum “Riga Bourse”. Dom Square. Riga Latvia. 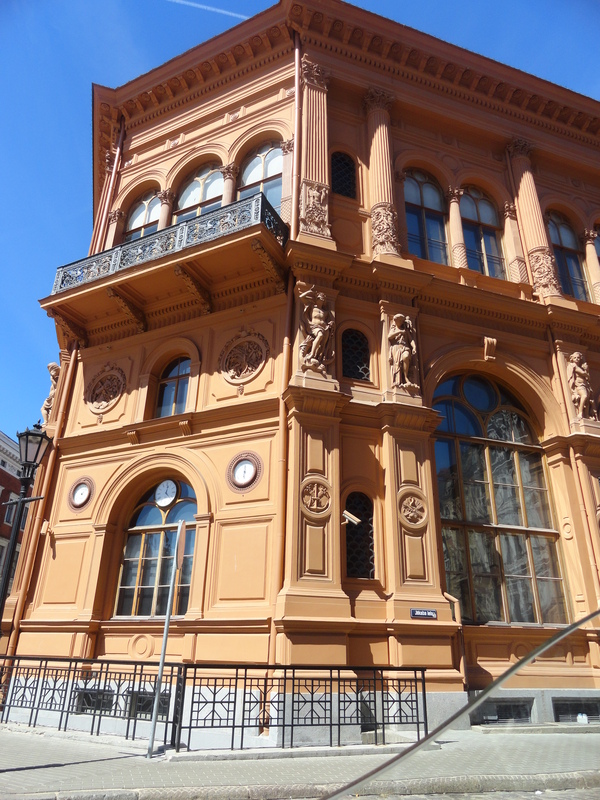 Detail of Art Museum “Riga Bourse”. Dom Square. Riga Latvia. The Exhibition is from 6th June to 16th September, 2018. At Arsenāls Exhibition Hall, Riga. Latvia. 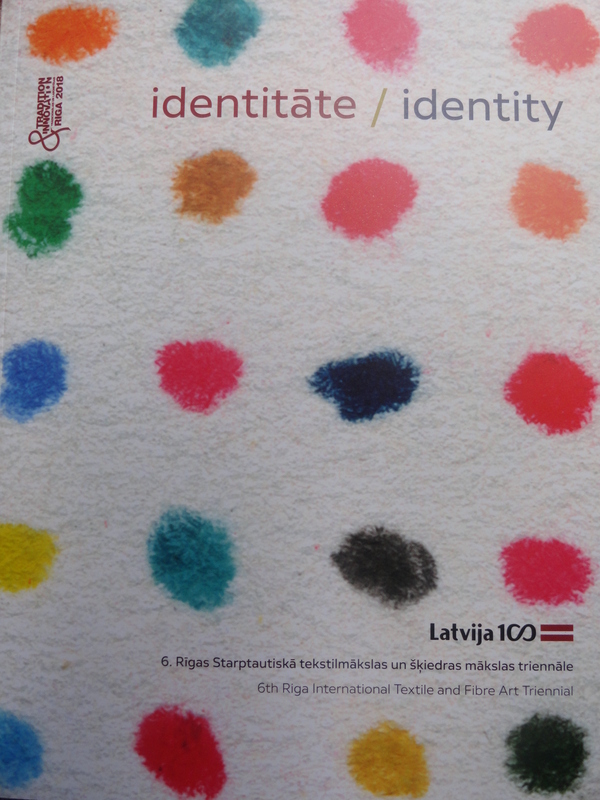 The Exhibition and programme of events has been organized by the Latvian National Museum of Art/ Museum of Decorative Arts and Design, Riga. Egils Rozenbergs, textile artist (Latvia). The jury passed out a decision that 85 artworks from 28 countries will enter the Triennial. An International Conference exploring related themes in The Exhibition is to be held on 7th and 8th June. 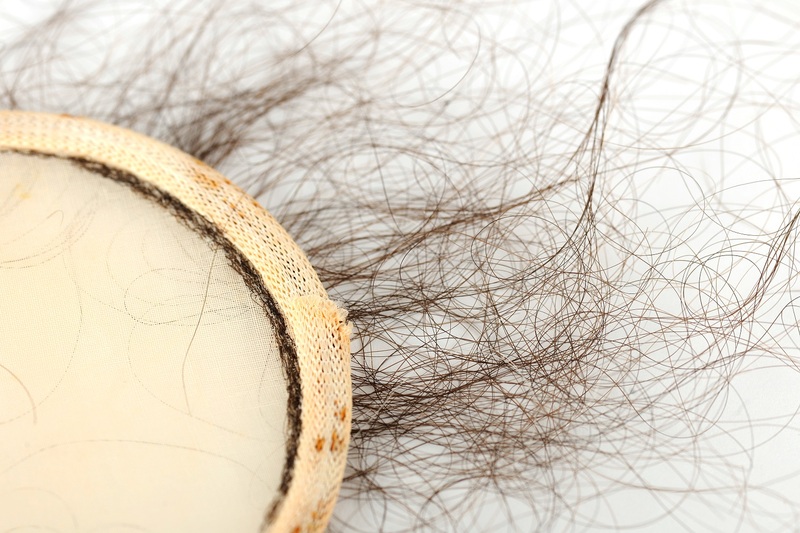 As part of this conference I will be presenting my lecture titled ‘Hair; Locks, curls, thimbles and dresses’ on Friday 8th June. This year, 2018, Latvia is celebrating the centenary anniversary of the Republic of Latvia and the Triennial will be part of the festivity cultural programme….. 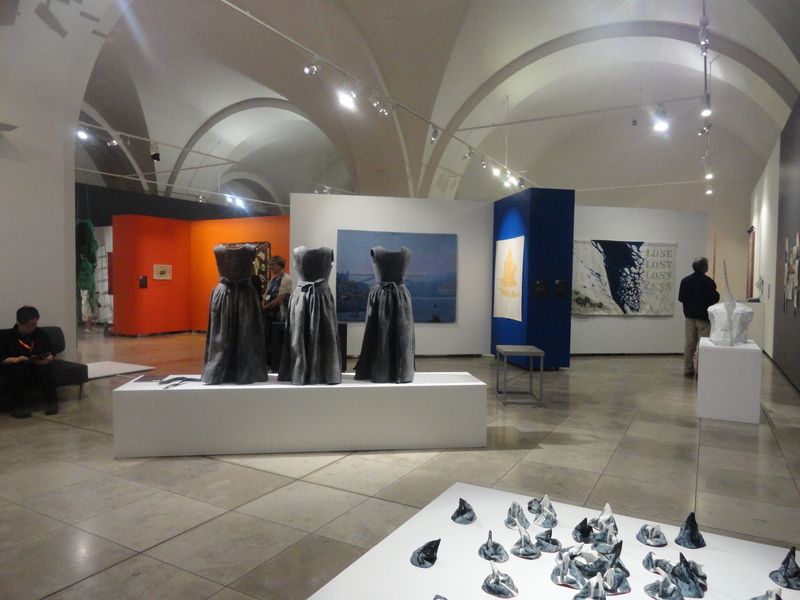 There is a fantastic line up of Artwork in the Triennial as well as the extended Exhibitions programme in and around Riga. 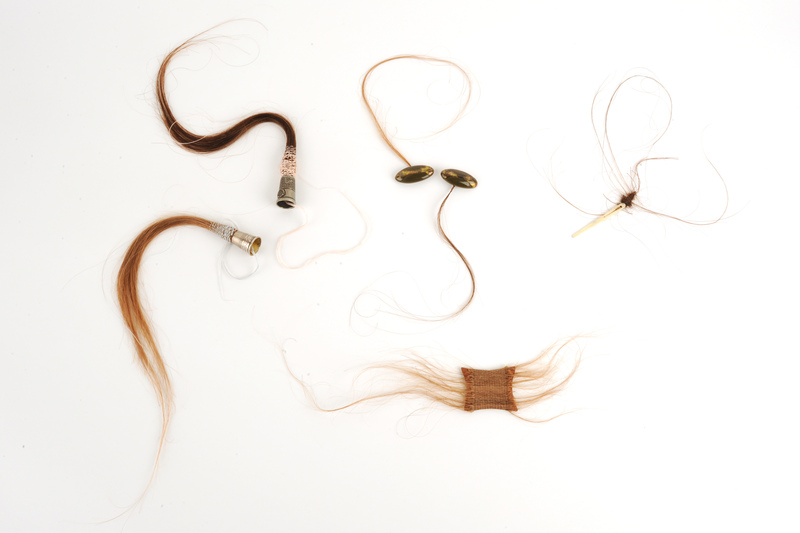 Materials used; Human hair, Silk and cotton thread, vintage sewing tools. Open Studio ! Please come along ! You will find me on the Second Floor studio number 2S8. I am currently sharing a small studio, and still hoping to get a Phoenix studio of my own in the near future! 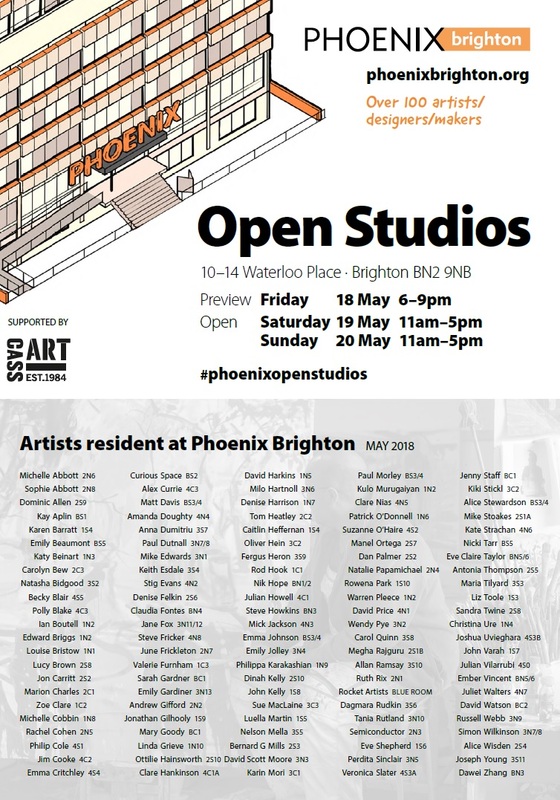 You can also view my work ‘In 1962 the birth control pill was available…’ in the South Gallery at Phoenix Brighton until the 27th May. Open Wed – Sun 11 am – 5 pm. She is part of the current ‘Phoenix Artists’ Exhibitions part of Open Studios. You can’t miss her either as she is cerise and can be seen from the pavement! I hope you can make it at some point, and please feel free to bring another.